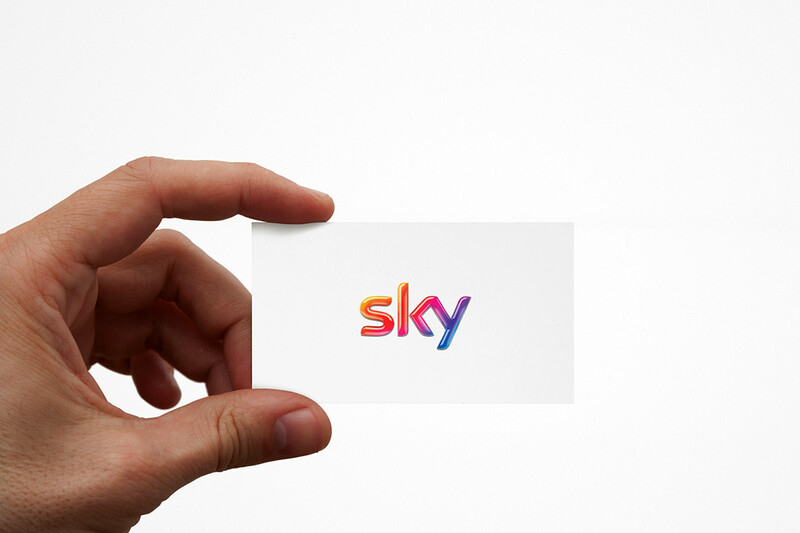 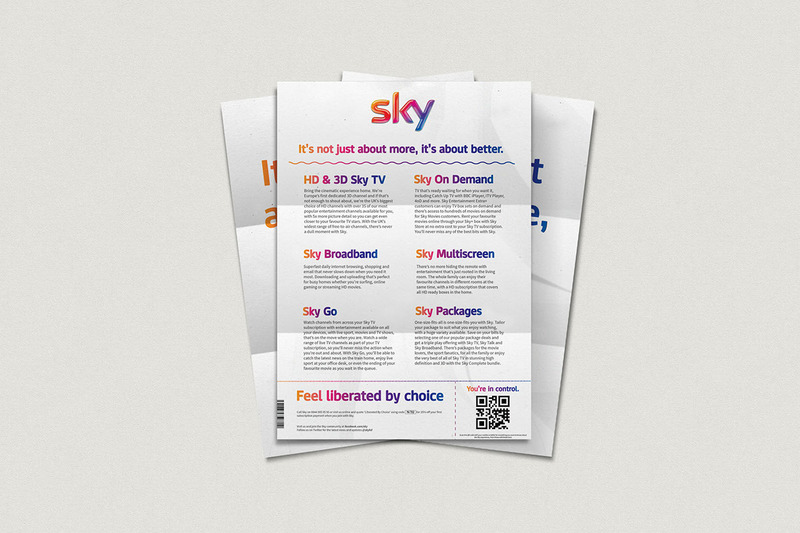 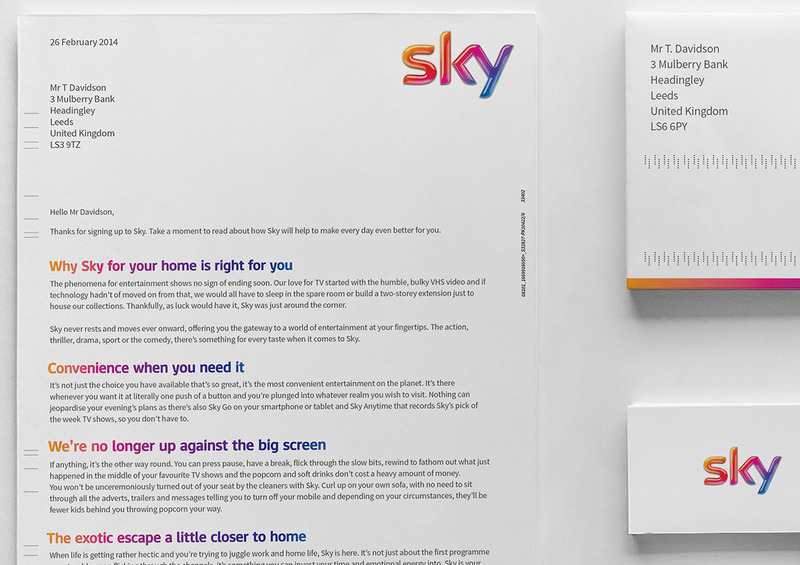 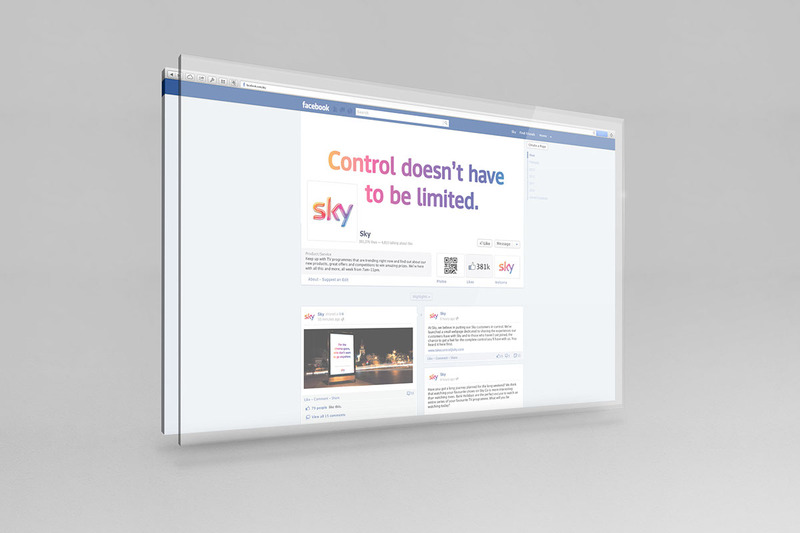 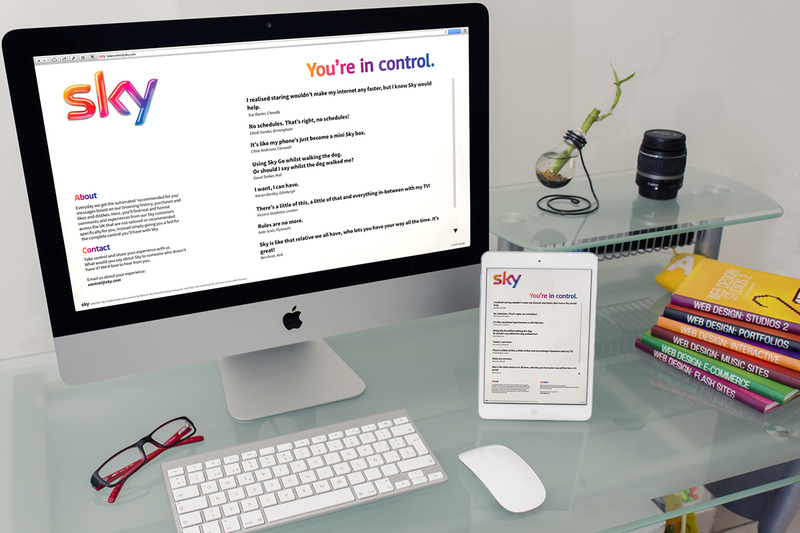 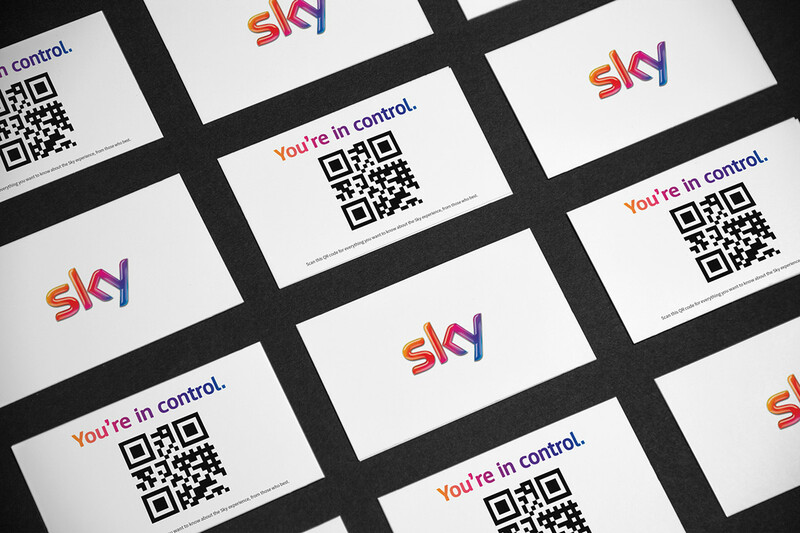 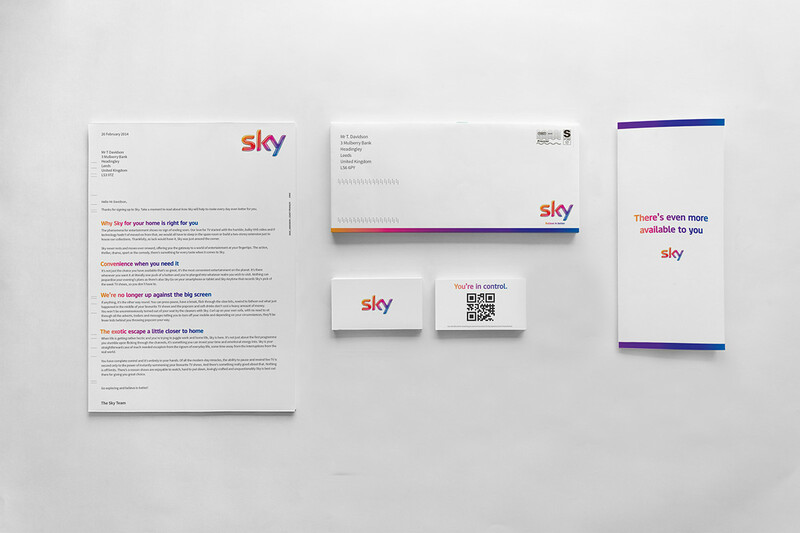 Sky fits into the picture as a dominant force for TV content and they asked for an integrated campaign that brings their unique personality to the forefront through the power of words and tone. 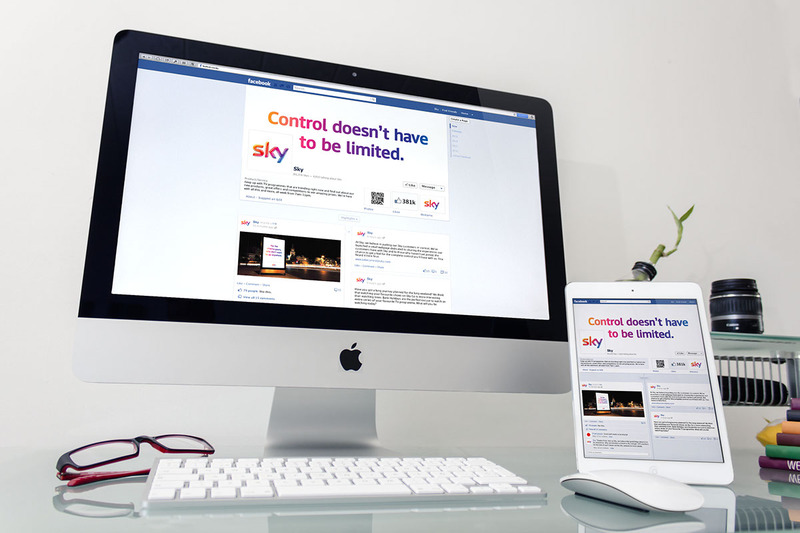 The success of digital and 3D as well as online television proves one thing – the audience wants control. 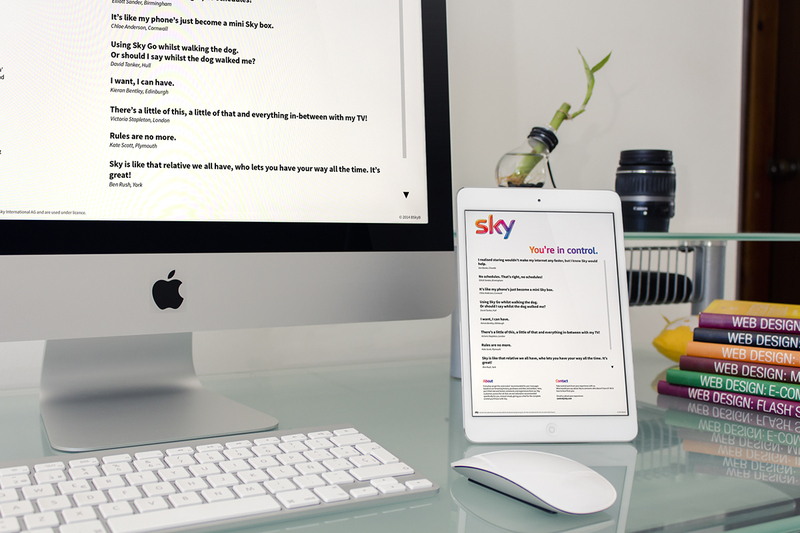 “What do I feel like watching?” is now a first port of call for the average coach potato. 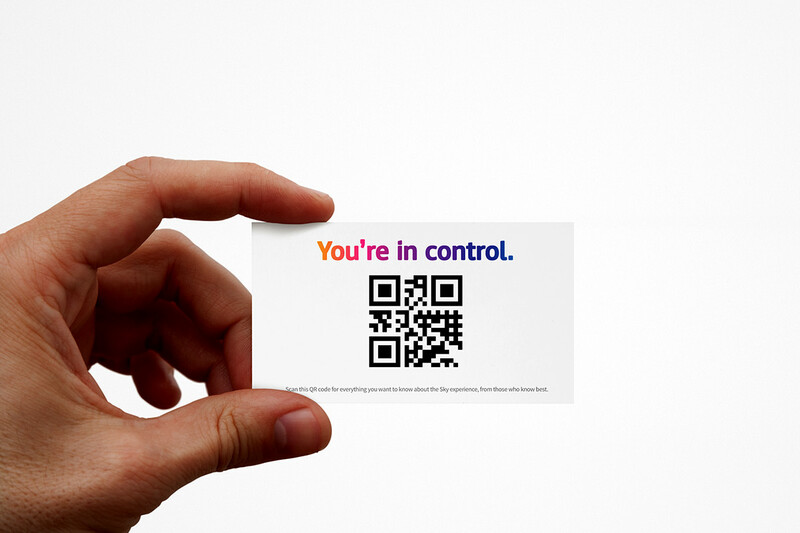 People like to be in charge and disapprove of control that's restrained. 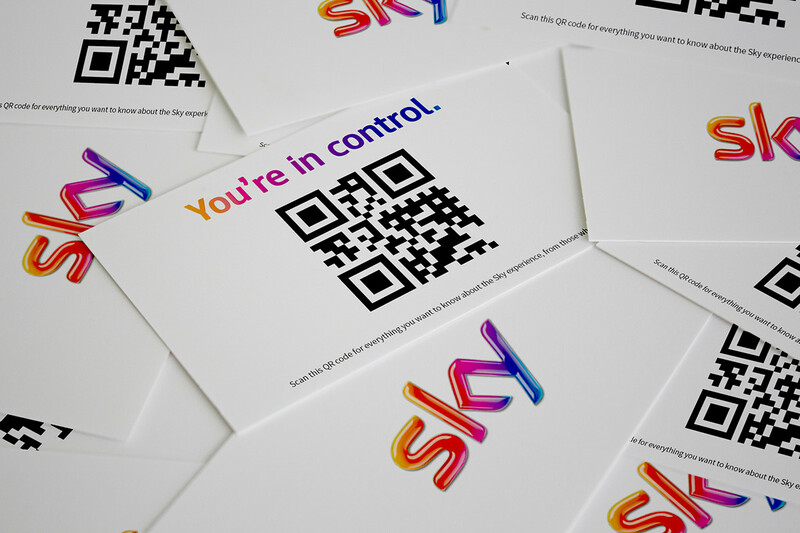 Hide the remote and see what happens! 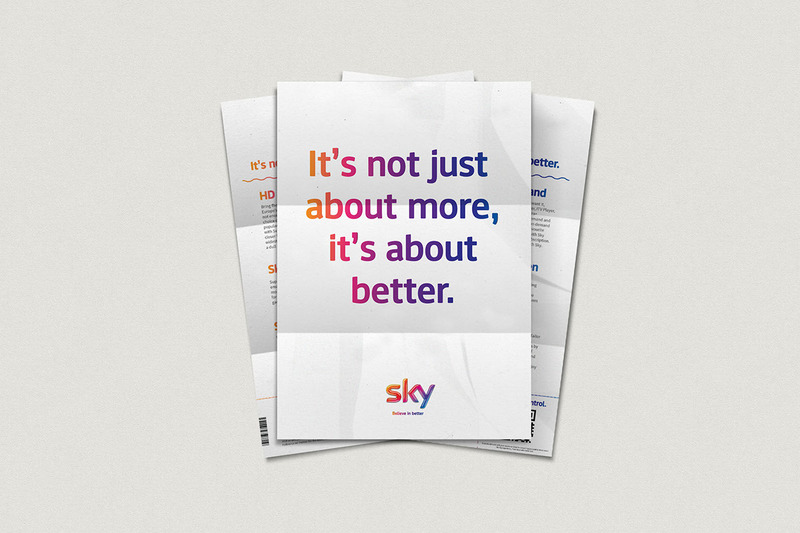 Stating what Sky is exactly wouldn’t turn heads, but communicating what Sky can do for consumers would. 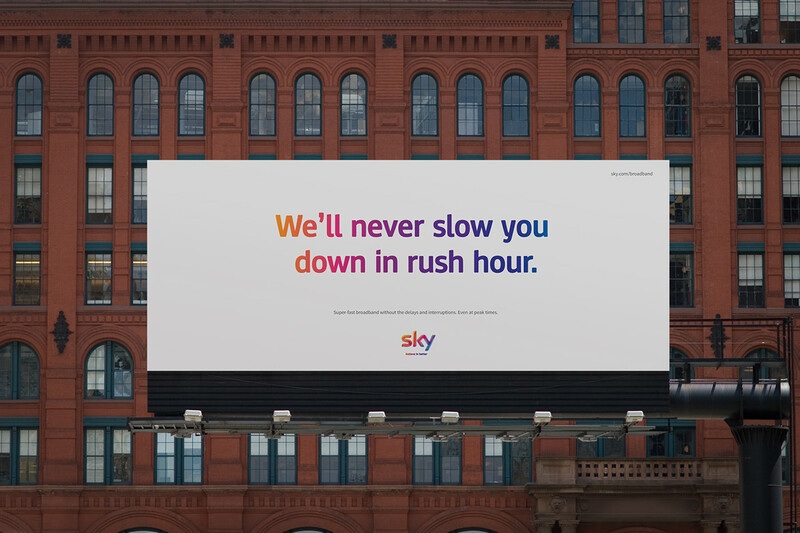 This formed the basis for the idea of speaking through copy on a personal level, focusing around the idea that if competitors can say it, Sky shouldn’t. 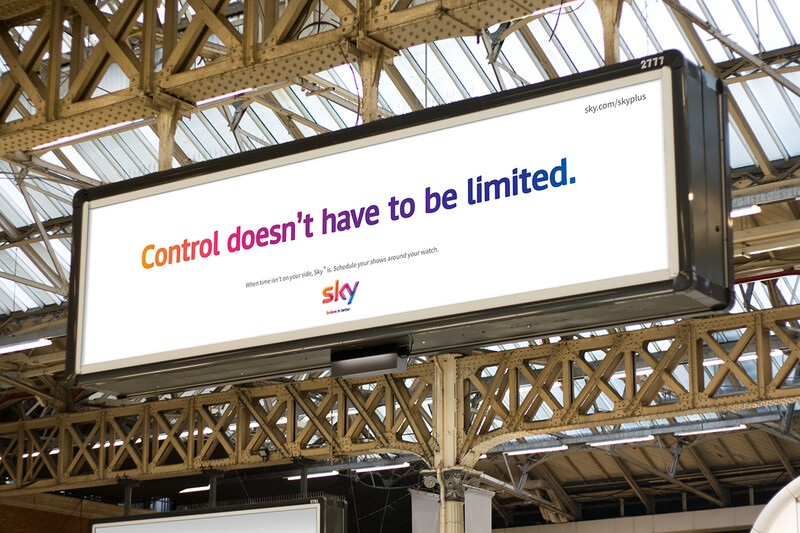 Highlighting Sky’s USP, which are great audiovisual content, exclusivity, personalisation and control needed to be brought across clearly. 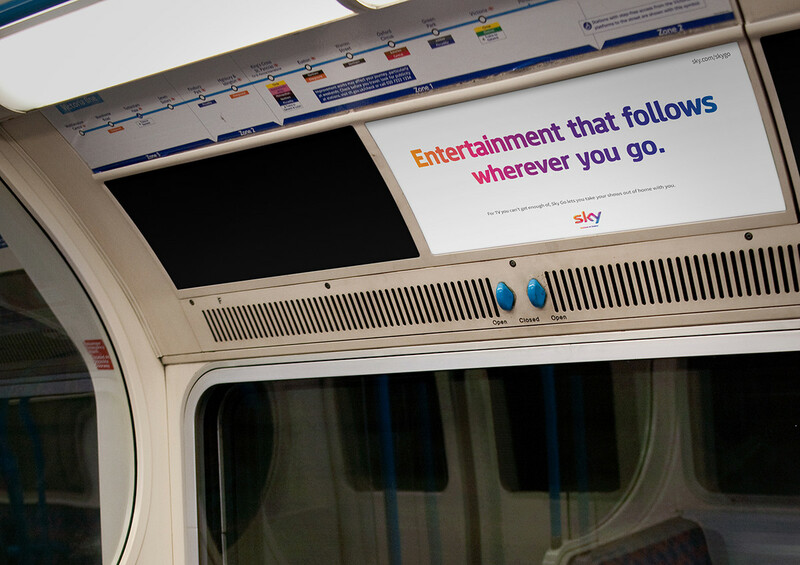 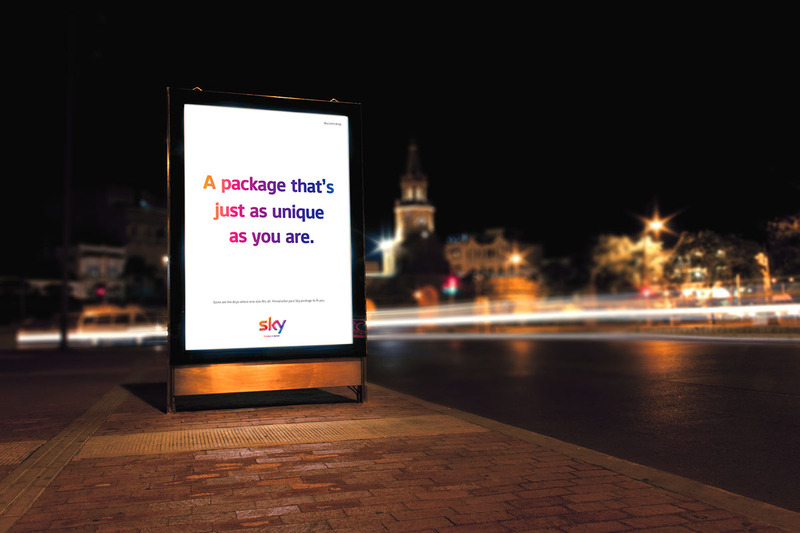 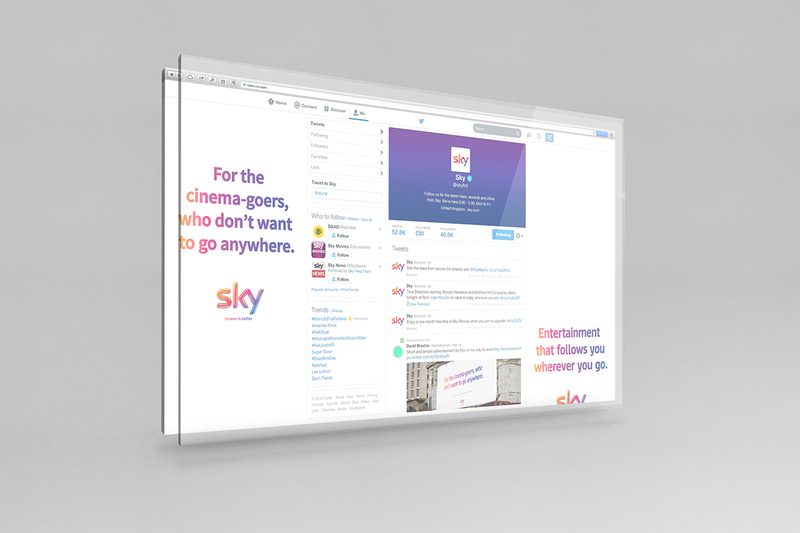 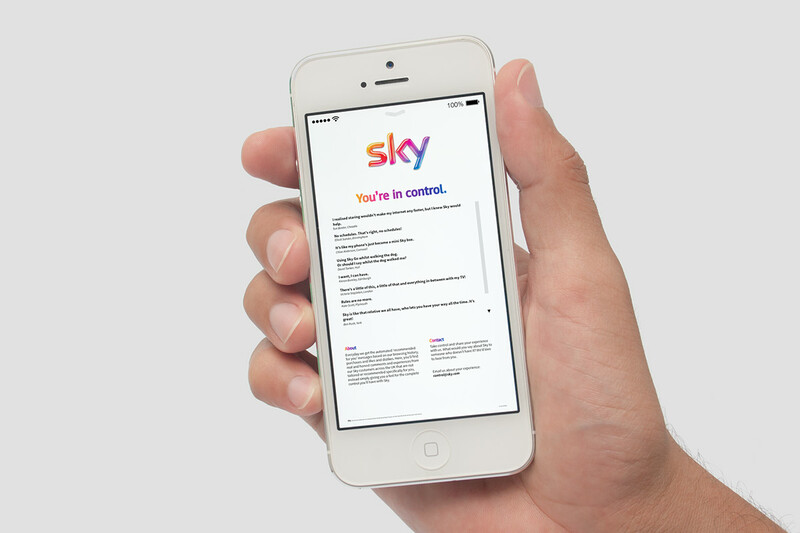 Copy fires the visual imagination; so injecting Sky’s personality into the campaign, with light touches that nods to Sky’s modest tone of voice. 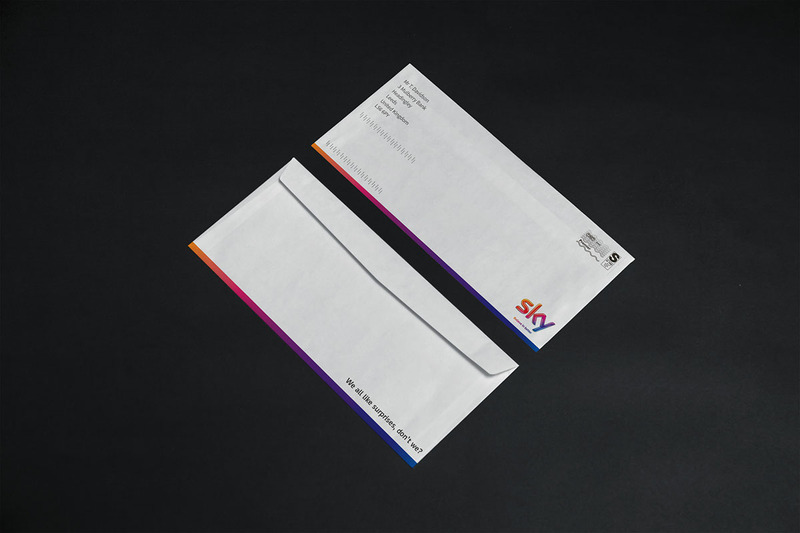 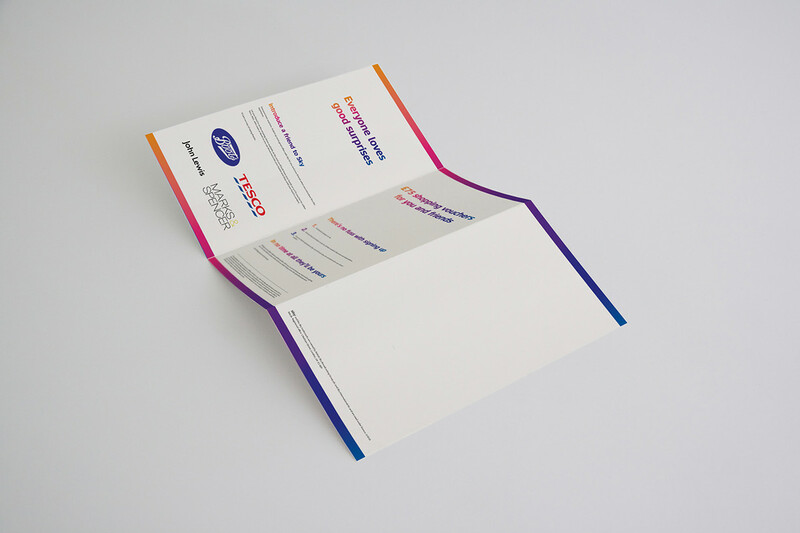 Tailoring the message to the audience and making it clear what's in it for them has been maintained by creating a consistent story across all medias – online, outdoor advertisements, poster advertisements and direct mail. 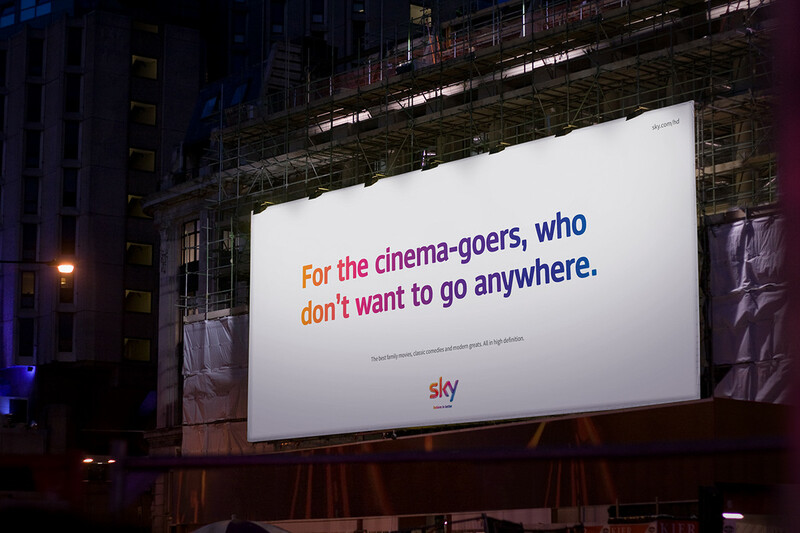 After all, they’re not one for taking the back seat or sitting quietly in the corner. 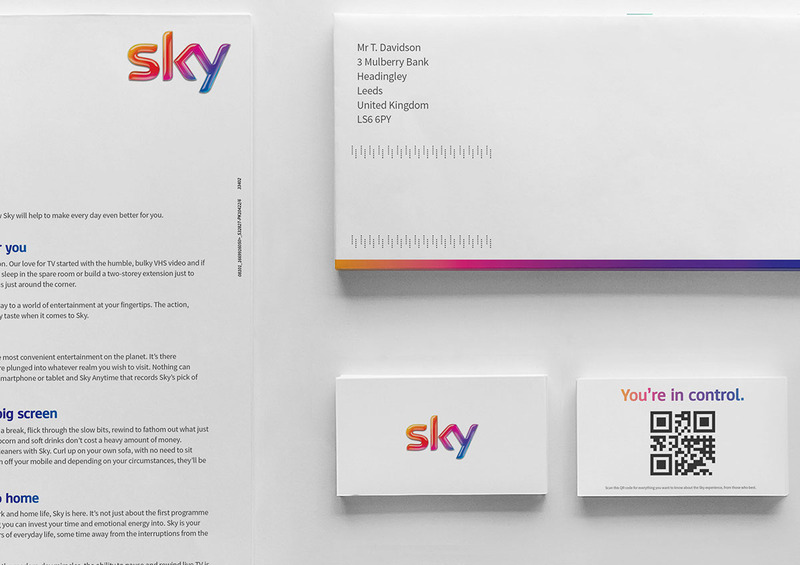 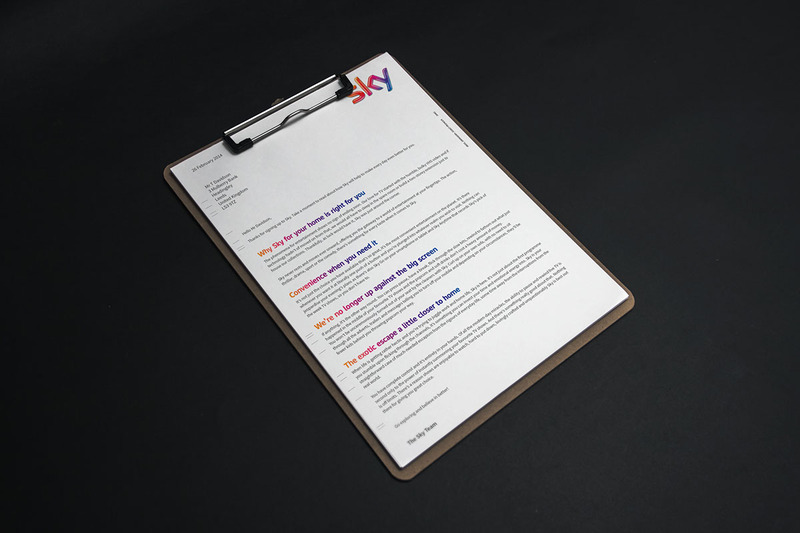 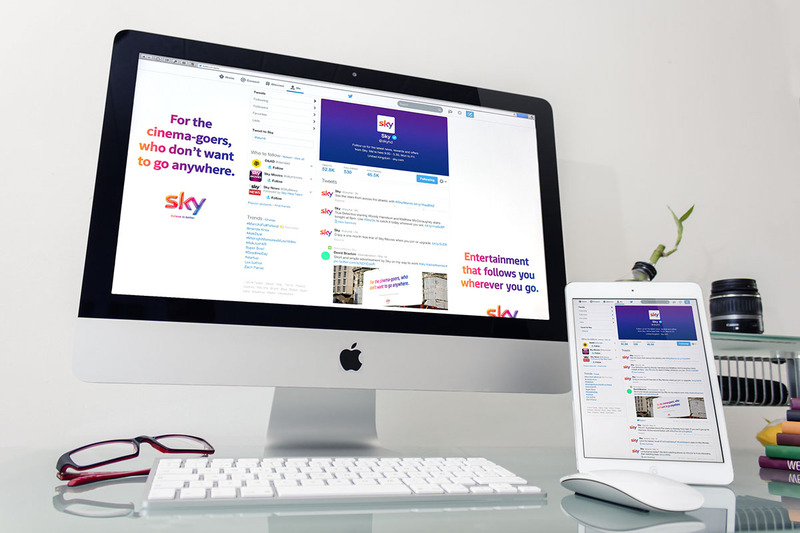 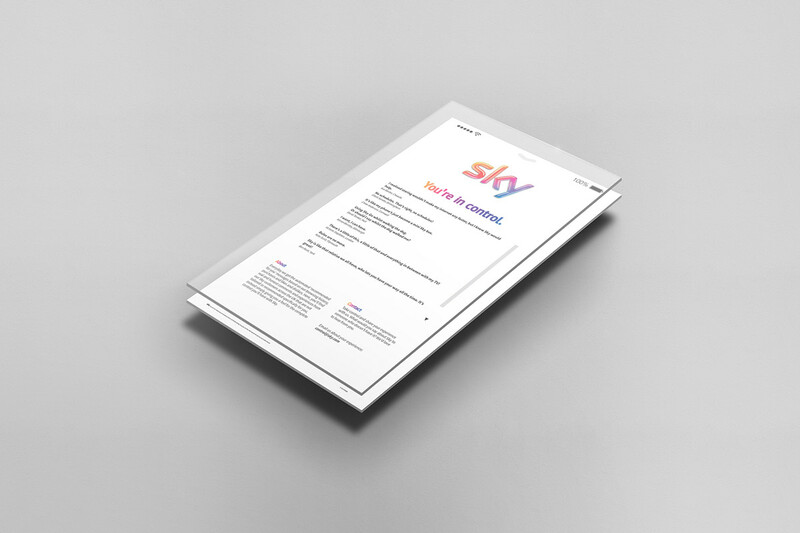 They’re consistently raising the bar and taking entertainment to new dimensions and this made Sky the perfect brand to flex the writerly muscles for. 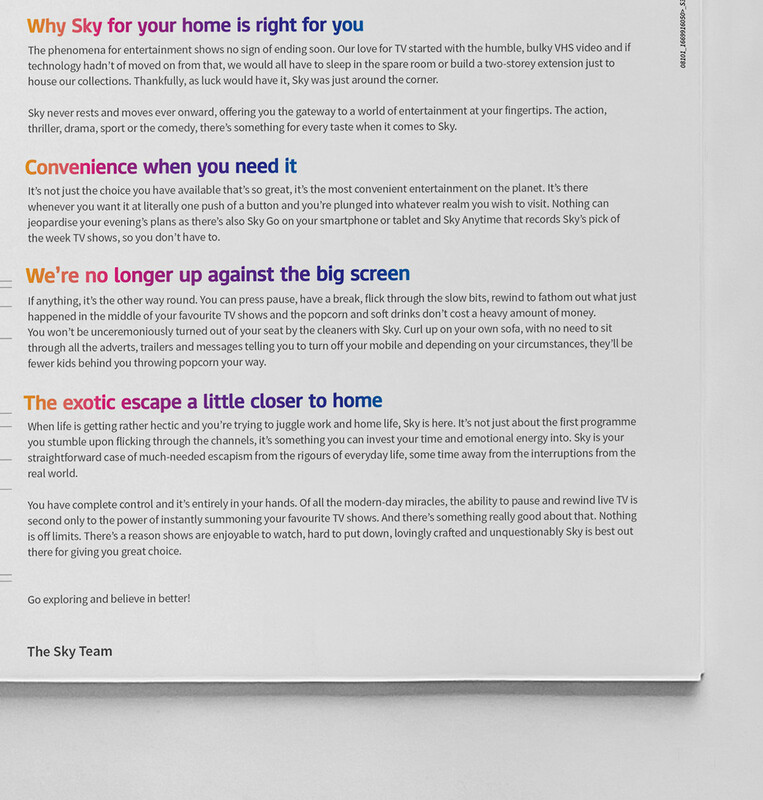 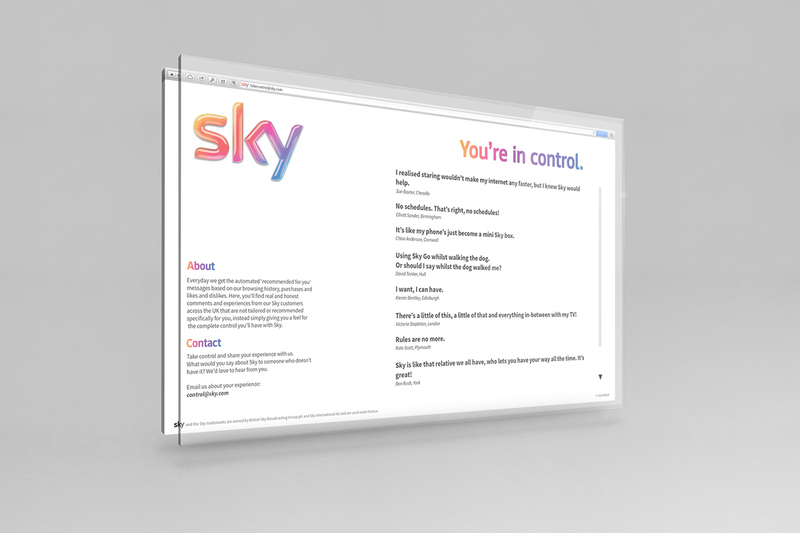 My entry for the D&AD New Blood Awards 2014 for the Sky brief, with copywriting needed to fit Sky's personality and make them stand out from the cluttered crowd and other players trying to compete with their offering.